Taizhou Huangyan Aojie Mould Co.,Ltd is one of the leading mould manufacturer, located in Huangyan---Mould Hometown of China. We specialized in designing & manufacturing plastic injection mould. Our products include motorcycle & Scooter mould, autoparts mould, industrial mould, houseware mould.We also have our own injection workshop to finish mould trial and mass production independently. Here, you can enjoy the one-stop service from design, mould processing, mould trial to mass production. AOJIE MOULD employed many outstanding professional technicians, purchased advanced processing equipment to build technology center. We have 5 senior engineers, more than 150 qualified technicians, and over 30 technical designers. We use international advanced development software(CATIA,UG, PRO/E) and develop product, mould design, analysis, processing and control. We passed ISO9001 quality system certification. AOJIE MOULD covers an areas of more than 10000 square meters. We have efficient, precise processing and testing equipment, including High speed CNC milling machine, CNC engraving machine, Mold-match Machine, Deep Hole Drilling Machine, CNC Milling Machine, Drilling Machine, Grinding Machine, Wire Cutting Machine, EDM, and 10 sets 300g-6300g Haitian injection machines etc. Till now, most of our products are exported to North America, South America, Europe, Southeast Asia, Africa, Oceana, Mid East, Eastern Asia nearly 30 countries. Such as America, Canada, Japan, Italy, France, Korea, Russia, Holland, Portugal, Australia, Iran, Indonesia, Spain, Greece, Turkey, Brazil, Mexico, Columbia, Vietnam, India, Nigeria and so on. 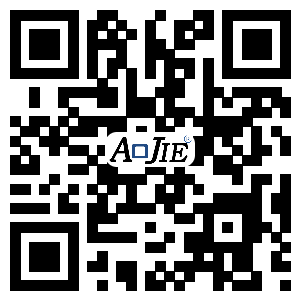 AOJIE keeps "Based on honesty, developed with innovation" as our developing idea. AOJIE Mould warmly invites you to visit our company and establish long-term business relationship with us.